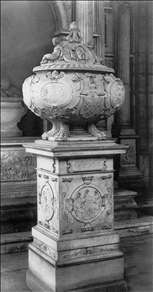 French sculptor, first documented in 1536 as an assistant to Primaticcio at Fontainebleau. 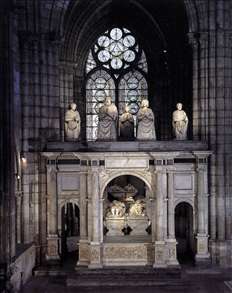 By 1550 he was in Paris, working on two important monuments for the royal burial church at S. Denis - the reclining effigies and bas-reliefs for the tomb of Francis I, designed by the great architect Philibert Delorme, and the monument for the heart of Francis I. 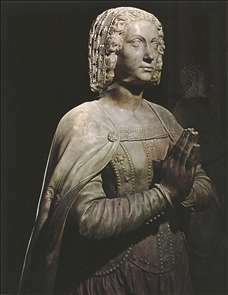 Only one other work is documented as being by him-the tomb of Charles de Maigny (1557) in the Louvre - but other works of the period are confidently attributed to him on stylistic evidence, and he seems to have been the foremost French tomb sculptor of the mid 16th century. His style was elegant and decorative. 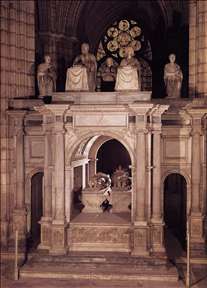 See more details about "Tomb of Francis I and Claude de France"
See more details about "Tomb of Francis I and Claude de France "
See more details about "Monument for the Heart of Francis I"